The release of the government’s white paper on housing last week, has been fairly well received, in as much as it at least acknowledges the depth of the problem and proposes an increase in building homes specifically for rent. These new rental properties will be either privately owned or owned by housing associations, not by local authorities, who have been barred from building homes since the 1980s. Where councils have been given new powers they relate to planning permission for building homes and to restrict what has become known as ‘landbanking’ by developers. This means it will be easier for councils to force developers to build on their land in the shorter term, rather than waiting until house prices rise to a level where the developer makes large profits, by restricting supply. In England as a whole, the union the GMB found, households have been increasing by an average of 218,316 per year since 2010 and over the same period the net additional dwellings have only increased by 148,993 per year. In London in the last six years new homes have only been 41.8% of the number of new households formed in the same period. These new powers will help to alleviate some of the supply side problems and it will encourage the development of new private rental housing with longer, more secure tenancies, backed by institutional investors. (Unlike individual buy-to-let landlords, pension funds are unlikely to refuse to replace a broken boiler, say, on the grounds that they can’t afford it.) It’ll also ban letting agent fees. And it’ll introduce banning orders, to force the worst landlords and agents out of the market. Presumably some of these new rental homes will be priced at ‘affordable rents’, but this term is misleading. Affordable rents are defined as at 80% of the market rate, which for many people, especially in London, are way out of the reach. The glaring omission in the white paper is the complete absence of repealing the restrictions on local authorities building of new council housing and the continuation of ‘the right to buy’ whereby councils are forced into selling off what is left of their housing stock to tenants. Almost half of former council houses and flats in Wandsworth in south London, are now owned by private landlords, often very wealthy individuals. 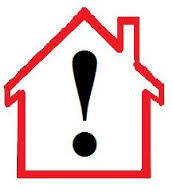 Why does the government not allow councils to build new homes, when it would be the quickest way to resolve the crisis? Remember too, that interest rates on borrowing are at a historic low, which makes it a cheap option, and these homes would become an income stream for cash strapped councils, for maybe 200 years. Secure tenancies, faster availability and more income for councils, what is not to like? Well, the government’s ideology will not allow them to take up this approach. It would buck the trend of the last 30 odd years, the so called ‘property owning democracy’ introduced by Margaret Thatcher. But as we see, this applies mainly to selling off public housing to private landlords, not the tenants in the long run, and has led us directly to the crisis in housing we have today. When the market has failed so spectacularly as it has with housing, what we do not need is more market. It only makes sense viewed through the prism of neo-liberal ideology, when plain common sense tells us it is all nonsense. Expect things to carry on pretty as much as normal, with increasing numbers of people being priced out of housing in some areas, as the gentrification of former council estates carries on, in an exercise in class cleansing of London and some of our other bigger cities. Where all of the essential low paid workers will live, is anyone's guess?